George Robert Blakey was born in Burlington, North Carolina on 1st July, 1936. He studied at Notre Dame Law School (1957-60). Blakey was admitted to the bar of the District of Columbia and worked as a Special Attorney at the Department of Justice in the Organized Crime & Racketeering Section from 1960 to 1964. He also served as a professor of law and director of the Cornell Institute on Organized Crime at Cornell Law School. In the 1960s Blakey campaigned for and helped write much of the anti-racketeering legislation that helped undermine the activities of the Mafia. This included the Racketeer Influenced and Corrupt Organization Act (1970). Blakey took a keen interest in the assassinations of John F. Kennedy and Martin Luther King and served as chief counsel and staff director to the House Select Committee on Assassinations from 1977 to 1979. In this role he led the investigation into the assassination, reexamining the evidence with a new forensics panel. Blakey is also the co-author with Richard Billings of The Plot to Kill the President (1981). 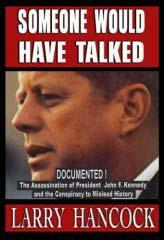 In the book Blakey and Billings argue that there was a conspiracy to kill John F. Kennedy. He believes that Lee Harvey Oswald was involved but believes that there was at least one gunman firing from the Grassy Knoll. Blakey came to the conclusion that the Mafia boss, Carlos Marcello, organized the assassination. 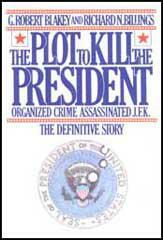 The book was reissued in paperback in 1993 as Fatal Hour: The Assassination of President Kennedy by Organized Crime. Carl Oglesby summarized Blakey and Billings theory as follows: (a) Oswald alone did shoot and kill J.F.K., as the Warren Commission deduced. (b) An unknown confederate of Oswald's, however, also shot at the President, firing from the celebrated "grassy knoll." This shot missed. (c) Apart from the question of the number of assailants in the attack, Oswald acted as the tool of a much larger conspiracy. (d) The conspiracy behind Oswald was rooted in organized crime and was specifically provoked by J.F.K. s anti-crime program. Singly or in some combination, prime suspects are Carlos Marcello and Santos Trafficante, godfathers respectively of the New Orleans and Tampa Mafias. Each one had the motive, means, and opportunity to kill J.F.K. Robert Blakey is currently professor of law at the University of Notre Dame. He also helped draft the President John F. Kennedy Assassination Records Collection Act of 1992. In 1993 Gaeton Fonzi published The Last Investigation, a book detailing his research into the assassination. 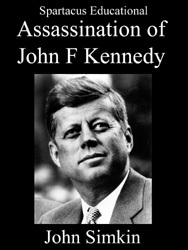 It is considered by many critics as among the best books on the JFK assassination and is currently recognized as an authority on those aspects of the assassination involving anti-Castro Cubans and the intelligence agencies. As Paul Vitello pointed out in the The New York Times: "He (Fonzi) chronicled the near-blanket refusal of government intelligence agencies, especially the C.I.A., to provide the committee with documents it requested. And he accused committee leaders of folding under pressure - from Congressional budget hawks, political advisers and the intelligence agencies themselves - just as promising new leads were emerging." In the book Fonzi criticized Blakey for being overly deferential to the CIA. Blakey now accepts that Fonzi was probably right about this. Blakey was shocked in 2003 when declassified CIA documents revealed the full identity of the retired agent who had acted as the committee’s liaison to the agency, George Joannides, who had also overseen a group of anti-Castro Cuban exiles in Dallas in the months before the assassination, when Lee Harvey Oswald was in contact with them. Blakey was furious when he discovered this information. He issued a statement where he said: "I am no longer confident that the Central Intelligence Agency co-operated with the committee.... I was not told of Joannides' background with the DRE, a focal point of the investigation. Had I known who he was, he would have been a witness who would have been interrogated under oath by the staff or by the committee. He would never have been acceptable as a point of contact with us to retrieve documents. In fact, I have now learned, as I note above, that Joannides was the point of contact between the Agency and DRE during the period Oswald was in contact with DRE. That the Agency would put a 'material witness' in as a 'filter' between the committee and its quests for documents was a flat out breach of the understanding the committee had with the Agency that it would co-operate with the investigation." In August, 2013, Blakey told the Las Vegas Sun: "They (the CIA) held stuff back from the Warren Commission, they held stuff back from us, they held stuff back from the ARRB. That's three agencies that they were supposed to be fully candid with. And now they're taking the position that some of these documents can't be released even today. Why are they continuing to fight tooth and nail to avoid doing something they'd promised to do?" Becker stated that Marcello had made his remarks about the Kennedy brothers after Becker said something to the effect that "Bobby Kennedy is really giving you a rough time.") He could not recall the exact words Marcello used in threatening President Kennedy, but believed the account in Reid's book "is basically correct. "Marcello was very angry and had "clearly stated that he was going to arrange to have President Kennedy murdered in some way." Marcello's statement had been made in a serious tone and sounded as if he had discussed it previously to some extent. Becker commented that Marcello had made some kind of reference to President Kennedy's being a dog and Attorney General Robert Kennedy the dog's tail, and had said "the dog will keep biting you you only cut off its tail," but that if the dog's head were cut off, the dog would die. Becker stated that Marcello also made some kind of reference to the way in which he allegedly wanted to arrange the President's murder. Marcello "clearly indicated" that his own lieutenants must not be identified as the assassins, and that there would thus necessity to have them use or manipulate someone else to carry out the actual crime. Becker told the committee that while he believed Marcello had been serious when he spoke of wanting to have the President assassinated, he did not believe the Mafia leader was capable of carrying it out or had the opportunity to do so. He emphasized that while he was disturbed by Marcello's remarks at the time, he had grown accustomed to hearing criminal figures make threats against adversaries. Becker stated that the only error in Reid's published account the meeting related to the statement that Becker had informed two Government investigators of it. Becker said that he never told any Government Investigator of Marcello's remarks about President Kennedy; he "would have been afraid" to repeat Marcello's remarks to anyone during that period, out of concern that Marcello or his associates might learn he had done so. I can assure you so far as the FBI is concerned the case will be continued in an open classification for all time. That is, any information coming to us or any report coming to us from any source will be thoroughly investigated, so that we will be able to either prove or disprove the allegation. The FBI's failure to take seriously the alleged Marcello threat was all the more disturbing given the time at which the Bureau learned of and discarded the allegation - less than 2 months after the leadership of the Bureau had been faulted by President Johnson himself not pursuing another allegation by an underworld informant that Mafia figures and Cuban agents might secretly have been involved in President Kennedy's assassination. Following the autopsy of President Kennedy, Robert I. Bouck, the head of the Protective Research Division of the U.S. Secret Service in 1963, received all of the materials relating to the autopsy from Agent Kellerman, and maintained these items in the White House under security for Dr. George Burkley the White House physician. On April 22, 1965, Robert F. Kennedy authorized a release of all of these materials to Mrs. Evelyn Lincoln, who then had an office in the National Archives. Mrs. Lincoln was in the process of assisting in the transfer of President Kennedy's official papers to the National Archives. In response to this order, Mr. Bouck and Dr. Burkley prepared an inventory list and transferred these materials to Mrs. Lincoln. Included in those materials was one stainless steel container, 7 inches in diameter and 8 inches - 7 by 8, containing the inventory list indicated gross material. The best speculation is that stainless steel container held the brain. On October 31, 1966, Burke Marshall, a representative of the Kennedy family, formally transferred the autopsy material to the Archives. I don't mean this physically, because the materials were allegedly in the Archives at the time in the custody of Mrs. Lincoln. When that transfer occurred, the steel container was not included. The committee, as I indicated this morning has conducted a comprehensive investigation in an attempt to locate the missing materials. The people interviewed have included Dr. Burkley, Dr. Humes, Mr. Bouck, Ramsey Clark, Mrs. Lincoln, Ms. Angela Novelli, Robert Kennedy's secretary, Dr. Finck, and Mr. Marshall, and all of the relevant Archives people. As I indicated this morning, over 30 people have been either interviewed or deposed. The closer they came to the chain of custody they were deposed. We've even interviewed all of the people associated with the reinterment of the President's body. That interviewing and deposition process has not indicated with certainty what happened. As I indicated earlier this morning, a Kennedy family spokesman did indicate that Robert Kennedy expressed concerns that these materials could conceivably be placed on public display many years from now and he wanted to prevent that. I would infer from that that the most likely result is that the President's brother destroyed the documents. (a) Rabidly anti-Communist elements of the C.I.A. 's operations division, often moving through extra-governmental channels, were deeply involved at the top of the assassination planning and management process and appear to have been the makers of the decision to kill the President. (b) The conspiracy was politically motivated. Its purpose was to stop J.F.K. 's movement toward détente in the Cold War, and it succeeded in doing that. It must therefore be regarded as a palace coup d'etat. (c) Oswald was an innocent man craftily set up to take the blame. As he put it, "I'm a patsy." (a) Oswald alone did shoot and kill J.F.K., as the Warren Commission deduced. (b) An unknown confederate of Oswald's, however, also shot at the President, firing from the celebrated "grassy knoll." This shot missed. (c) Apart from the question of the number of assailants in the attack, Oswald acted as the tool of a much larger conspiracy. (d) The conspiracy behind Oswald was rooted in organized crime and was specifically provoked by J.F.K's anti-crime program. Singly or in some combination, prime suspects are Carlos Marcello and Santos Trafficante, godfathers respectively of the New Orleans and Tampa Mafias, and Teamster racketeer James Hoffa. Each one had the motive, means, and opportunity to kill J.F.K. Garrison was tried but acquitted in 1971 of federal charges of taking payoffs from underworld pinball operators, despite evidence that included incriminating tape recordings of Garrison and the seizure of $1,000 in marked money from Garrison's home. The Acoustical Reconstruction: We made plans for the Dallas reconstruction. More was involved than getting permission from the Dallas authorities, which went very smoothly. "I'll do anything you want," Dallas Police Chief Con Byrd said. "If you want us to reenact it down to the minute, (I'll) stop traffic on a Friday afternoon, rope it off - that's how we will do (it)." We appreciated his offer but knew that the tests did not need to be that realistic to be scientifically valid. Besides, we were concerned about safety, as well as avoiding unseemly sensationalism. We were particularly concerned about the sensibilities of the Kennedy family; Chairman Stokes wanted Senator Edward M. Kennedy briefed immediately. (It was not our first contact with the family. 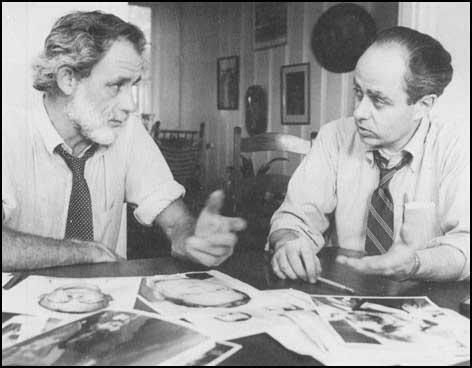 In preparing our presentation of the autopsy evidence, we had worked closely with Burke Marshall, who was in charge of the Civil Rights Division under Attorney General Robert F. Kennedy. He had since joined the faculty of the Yale Law School but still represented the Kennedy family.) It seemed only appropriate that the senator learn the details of the acoustics study in advance, which he did when we met with him on August 2 (1978) in his Capitol office. Kennedy was visibly shaken. "That brings it all up again," he said. He wanted to know if we were sure that the Dallas trip was necessary. Had we gotten a second opinion? He was assured that everything was being done in a step-by-step, well-planned way. As for the second opinion, we had, in fact, gone back to the Acoustical Society of America, once we had received Barger's interim report, for recommendations of experts who might review the BBN study. From this list, we chose Mark Weiss, a professor of computer science at Queens College, City University of New York. (8) G. Robert Blakey was interviewed by Frontline in 1993. Q: Was there a connection between Oswald and organized crime? A: At this point in time, New Orleans was corrupt, and the principle figure behind that corruption, gambling etc, was Carlos Marcello. Oswald at this time brushed up against organized crime in its worst forms. Oswald's uncle, a man named Charles "Dutz" Murret, was an ex-prize fighter and promoter who was also a bookie. He was under the control of Carlos Marcello, who at that time was the head of the Mafia in New Orleans. These were the people who were in the sphere of Lee Harvey Oswald's life as a child. Q: Mobsters talked of their hatred of Kennedy. Could you talk about that - which mobsters, what did they say? A: There is a story told by a man named Edward Becker, of a conversation with Carlos Marcello, in which Carlos Marcello talks about getting, he speaks in Sicilian, "getting the stone out of my shoe," and talking about getting a nut to kill, not Bobby Kennedy, who was his nemesis, but John Kennedy, who was the man behind the nemesis. We took that statement very seriously and investigated Becker and Becker's credibility. Was he associated with the people he says he was? Was he in New Orleans at the time and place he says he was? Our judgment was that Becker's story was true. More significantly, in recent days, a man named Frank Ragano, who was a long-time lawyer for Santo Trafficante, tells the story that Trafficante, shortly before he underwent a serious operation, confided to him that "Carlos messed up." He said that "we should have killed Bobby and not Giovanni." This evidence is of extraordinary significance. Q: A number of Mafia leaders have been overheard either threatening or boasting about having a hand in killing Kennedy. What was the evidence? A: We took very seriously the possibility that organized crime had a hand in the President's death. I personally did not believe it at the time. I thought we could prove that they didn't. The FBI had an illegal electronic surveillance on the major figures of organized crime in the major areas in this country... in New York, Philadelphia, Buffalo and elsewhere. We did a survey of that illegal electronic surveillance: Eight months before the assassination and six months after. We were looking for some indication in these men's conversations that would connect them to the assassination - to either Lee Harvey Oswald, or to Jack Ruby. We found no evidence in it to connect them to Oswald or Ruby. On the other hand, what we did find, shockingly, is repeated conversations by these people that indicated the depth of their hatred for Kennedy, and actual discussions saying: "he ought to be killed," "he ought to be whacked." Q: But you're pointing the finger towards Carlos Marcello and organized crime rather than the equally violent anti-Kennedy elements in the anti-Castro Cuban movement. A: You don't have to separate the anti-Castro Cubans and organized crime. There are substantial overlaps. Santo Trafficante (who some claim had met Ruby) from Tampa was in Cuba, and many of his associates in illegal businesses are Cuban and were people who were thrown out of Cuba by Castro. They're both organized crime and anti-Castro Cubans. On the other hand, not every anti-Castro Cuban is involved in organized crime. Indeed most are not. They were legitimate ex-patriots. (9) G. Robert Blakey statement on the Central Intelligence Agency in 2003. These were crucial issues in the Warren Commission's investigation; they were crucial issues in the committee's investigation. The Agency knew it full well in 1964; the Agency knew it full well in 1976-79. Outrageously, the Agency did not tell the Warren Commission or our committee that it had financial and other connections with the DRE, a group that Oswald had direct dealings with! What contemporaneous reporting is or was in the Agency's DRE files? We will never know, for the Agency now says that no reporting is in the existing files. Are we to believe that its files were silent in 1964 or during our investigation? I don't believe it for a minute. Money was involved; it had to be documented. Period. End of story. The files and the Agency agents connected to the DRE should have been made available to the commission and the committee. That the information in the files and the agents who could have supplemented it were not made available to the commission and the committee amounts to willful obstruction of justice. During the relevant period, the committee's chief contact with the Agency on a day-to-day basis was Scott Breckinridge. (I put aside our point of contact with the office of chief counsel, Lyle Miller) We sent researchers to the Agency to request and read documents. The relationship between our young researchers, law students who came with me from Cornell, was anything but "happy." Nevertheless, we were getting and reviewing documents. Breckinridge, however, suggested that he create a new point of contact person who might "facilitate" the process of obtaining and reviewing materials. He introduced me to Joannides, who, he said, he had arranged to bring out of retirement to help us. He told me that he had experience in finding documents; he thought he would be of help to us. I was not told of Joannides' background with the DRE, a focal point of the investigation. Had I known who he was, he would have been a witness who would have been interrogated under oath by the staff or by the committee. He would never have been acceptable as a point of contact with us to retrieve documents. In fact, I have now learned, as I note above, that Joannides was the point of contact between the Agency and DRE during the period Oswald was in contact with DRE. That the Agency would put a "material witness" in as a "filter" between the committee and its quests for documents was a flat out breach of the understanding the committee had with the Agency that it would co-operate with the investigation. The committee's researchers immediately complained to me that Joannides was, in fact, not facilitating but obstructing our obtaining of documents. I contacted Breckinridge and Joannides. Their side of the story wrote off the complaints to the young age and attitude of the people. They were certainly right about one question: the committee's researchers did not trust the Agency. Indeed, that is precisely why they were in their positions. We wanted to test the Agency's integrity. I wrote off the complaints. I was wrong; the researchers were right. I now believe the process lacked integrity precisely because of Joannides. Significantly, the Warren Commission's conclusion that the agencies of the government cooperated with it is, in retrospect, not the truth. (10) G. Robert Blakey was interviewed by ABC News in 2003. ABC News: Let me ask you: 40 years after the fact and 25 years after your investigation, who killed John F. Kennedy? Blakey: Lee Harvey Oswald killed John Kennedy. Two shots from behind. The evidence is simply overwhelming. You have to be lacking in judgment and experience in dealing with the evidence to think that Lee Harvey Oswald did not kill President Kennedy. That's really not the problem. The problem is: Was there something beyond Lee Harvey Oswald? And now what you do is you look at the evidence. ABC News: How many shots were fired at Dealey Plaza? Blakey: What we did is determine that there were in fact four shots. Our scientists looked at a tape we found, and they did a scientific analysis of it, and it indicated four shots in the plaza, three from the depository and one from the grassy knoll. That meant there were two shooters in the plaza, two shooters in the plaza equal a conspiracy. The first shot from the depository by Lee Harvey Oswald missed. The second shot about 1.6 seconds later, hit the president in the back of the neck. (The bullet exited Kennedy and) hit John Connally. It hit his wrist, hit his leg. Now six seconds from the second shot, we think a shot came from the grassy knoll. It missed the president. The shot from the grassy knoll missed. The X-rays, the autopsy, all of that indicates the president was not hit by a shot from any other direction. Seven-tenths of a second after that, the third shot, fourth in the row, third shot from the depository, hits the president right in the back of the head. ABC News: In your book you point the finger squarely at Carlos Marcello and his organization. Why would he want to kill Kennedy? Blakey: Carlos Marcello was being subject to the most vigorous investigation he had ever experienced in his life, designed to put him in jail. He was in fact summarily, without due process, deported to Guatemala. He took the deportation personally. He hated the Kennedys. He had the motive, the opportunity and the means in Lee Harvey Oswald to kill him. I think he did through Oswald. ABC News: How central is Jack Ruby's murder of Oswald to your understanding of this case? Blakey: To understand who killed President Kennedy and did he have help, I think you have to understand what happened to the assassin of President Kennedy, Lee Harvey Oswald. I see Jack Ruby's assassination of Lee Harvey Oswald as a mob hit. This is in direct contradiction to the Warren Commission. The Warren Commission portrayed, wrongly I think, Jack Ruby as a wild card who serendipitously got into position to kill Oswald. I think in fact he stalked him. I can show you from the Warren Commission's evidence that he tried to get into where he was being interrogated, number one. That he tried to get in where there was going to be a lineup, number two. That he was seen around the garage, where he was announced that he was going to be moved. And we know, from Jack Ruby himself, that he had a gun with him at the time of the lineup. I believe that Ruby was able to get in to kill Oswald through the corrupt cooperation of the Dallas P.D., that he was let in through a back door and he was given an opportunity to kill Oswald. I see that, therefore, as a mob hit. And if that's a mob hit, there is only one reason for it, and that is to cover up the assassination of the president himself. You kill the killer. ABC News: Since you believe that Lee Oswald shot the president, and you also believe that Carlos Marcello was behind the assassination, what connections do you point to between Oswald and Marcello? Blakey: I can show you that Lee Harvey Oswald knew, from his boyhood forward, David Ferrie, and David Ferrie was an investigator for Carlos Marcello on the day of the assassination, with him in a court room in New Orleans. I can show you that Lee Harvey Oswald, when he grew up in New Orleans, lived with the Dutz Murret family (one of Oswald's uncles). Dutz Murret is a bookmaker for Carlos Marcello. I can show you that there's a bar in New Orleans, and back in the '60s, bars used to have strippers and the strippers circuit is from Jack Ruby's strip joint in Dallas to Marcello-connected strip joints in the New Orleans area. So I can bring this connection. Did Lee Harvey Oswald grow up in a criminal neighborhood? Yes. Did he have a mob-connected family? Did he have mob-connected friends? Was he known to them to be a crazy guy? He's out publicly distributing Fair Play for Cuba leaflets. If you wanted to enlist him in a conspiracy that would initially appear to be communist and not appear to be organized crime, he's the perfect candidate. Ex-Marine, marksman, probably prepared to kill the president for political reasons. Could he be induced to kill the president for organized crime reasons unbeknownst to him? I think the answer is yes and compelling. As published authors of divergent views on the assassination of President John F. Kennedy, we urge the Central Intelligence Agency and the Department of Defense to observe the spirit and letter of the 1992 JFK Assassination Records Act by releasing all relevant records on the activities of a career CIA operations officer named George E. Joannides, who died in 1990. Joannides's service to the US government is a matter of public record and is relevant to the Kennedy assassination story. In November 1963, Joannides served as the chief of the Psychological Warfare branch in the CIA's Miami station. In 1978, he served as the CIA's liaison to the House Select Committee on Assassinations (HSCA). The records concerning George Joannides meet the legal definition of "assassination-related" JFK records that must be "immediately" released under the JFK Records Act. They are assassination-related because of contacts between accused assassin Lee Harvey Oswald and a CIA-sponsored Cuban student group that Joannides guided and monitored in August 1963. Declassified portions of Joannides's personnel file confirm his responsibility in August 1963 for reporting on the "propaganda" and "intelligence collection" activities of the Directorio Revolucionario Estudantil (DRE), a prominent organization known in the North American press as the Cuban Student Directorate. George Joannides's activities were assassination-related in at least two ways. (1) In August 1963, Oswald attempted to infiltrate the New Orleans delegation of the DRE. The delegation—dependent on $25,000 a month in CIA funds provided by Joannides—publicly denounced Oswald as an unscrupulous sympathizer of Fidel Castro. (2) After Kennedy was killed three months later, on November 22, 1963, DRE members spoke to reporters from The New York Times and other news outlets, detailing Oswald's pro-Castro activities. Within days of the assassination, the DRE published allegations that Oswald had acted on Castro's behalf. The imperative of disclosure is heightened by the fact that the CIA has, in the past, failed to disclose George Joannides's activities. In 1978, Joannides was called out of retirement to serve as the agency's liaison to the House Select Committee on Assassinations. The agency did not reveal to the Congress his role in the events of 1963, compromising the committee's investigation. In 1998, the Agency again responded inaccurately to public inquiries about Joannides. The Agency's Historic Review Office informed the JFK Assassination Records Review Board (ARRB) that it was unable to identify the case officer for the DRE in 1963. The ARRB staff, on its own, located records confirming that Joannides had been the case officer. This is not a record that inspires public confidence or quells conspiracy-mongering. To overcome misunderstanding, the CIA and the Defense Department should make a diligent good-faith effort to identify and release any documents about George Joannides. The government should make these records public in conjunction with the fortieth anniversary of the Kennedy assassination on November 22, 2003, so as to help restore public confidence and to demonstrate the agencies' commitment to compliance with the JFK Assassination Records Act. This essay will not pretend to be the comprehensive history and analysis that now cries out—screams—to be done on the HSCA. It is written as a stepping stone, an indication of what could and should be written on that topic. In the immediate aftermath of the release of the HSCA Final Report in 1979, two books were being written that proposed to perform this critical analysis. One, to be written by Ted Gandolfo, to my knowledge, never got past the unpublished manuscript stage. Another book, Beyond Conspiracy, an anthology by Peter Scott, Russell Stetler, Paul Hoch, and Josiah Thompson, progressed further toward publication than Gandolfo’s. This too was never published. And from the version of the volume I have, it does not take on the function of critical analysis that Mark Lane or Sylvia Meagher did in the previous decade. In fact, the tone is not really critical at all. This can be seen by reading Thompson’s discussion of the HSCA’s version of the single bullet theory. This celebrated critic actually seems to accept what he was so skeptical about in his 1967 Warren Commission critique, Six Seconds in Dallas. As we shall see in part two of this essay, Blakey’s version of the magic bullet theory is, in some ways, even more strained than the Warren Commission’s. John Simkin: Would you be interested in providing a statement that summarizes your current thoughts on the assassination? G. Robert Blakey: I have seen nothing to change my mind, though I am less confident of the acoustical result today in light of other analyses of it. The other evidence in the plaza, however, still points to two shooters no matter how valid the acoustical study comes out in the end. Forty-two years ago, on Nov. 22, 1963, President John F. Kennedy was gunned down in Dallas, Texas. In Bethesda, Maryland, this past weekend, a group of distinguished journalists, historians, scientists and others gathered to discuss and debate the evidence of conspiracy in the JFK case. While the research community has often slammed the mainstream media for not covering the facts of the case, the blame must go both ways. The conference organizers offered no handouts, no summaries of what is new in the case this year, or any hook upon which a journalist might hang a story. As one of the reporters said in a panel discussion, this is a story without an ending, and how satisfying is that? But that is a tragedy, in light of the Downing Street Memo and other evidence that the Bush administration’s case for war in Iraq was built on a false platform. The common thread throughout the weekend was that secrecy and democracy cannot safely coexist, that the more we have of the former, the less we have of the latter. Professor Blakey’s hands shook slightly as he spoke to the group gathered for dinner on Saturday night. He confessed that he had trusted the CIA too much. CIA Director Stansfield Turner showed Blakey a letter in which Turner admonished CIA people not to lie to the committee members. Blakey believed that was enough. He finds now that was not the case. Blakey denied that his long background dealing with organized crime was the reason he chose to focus on the Mob as the conspirators in the Kennedy assassination. He said when he looked for a group that could connect both Oswald and Ruby, the choice seemed clear that the Mob fit the bill. He said if proof surfaced that Oswald had been framed, that would indicate conspirators other than the Mob, which did not have that capability. Blakey spoke specifically about George Joannides, a CIA psychological warfare expert and the focus of several of Jeff Morley’s articles about the case. Joannides had been in charge of the anti-Castro Cuban student organization known as the DRE. Carlos Bringuier of the DRE fought verbally with Oswald in the streets of Miami, which led to the arrest of Oswald just weeks before the assassination, and later put Oswald on the air in a DRE-sponsored program in which Oswald said he was a Marxist. During the House investigation, Blakey assigned two of his young law school student assistants, Edward Lopez and Dan Hardway, to the CIA. They were set up in an office at CIA and given great freedom to request documents. The Agency was forced to comply. But when Lopez and Hardway started pressing for more of the DRE documents, Joannides, who had been brought back from retirement to oversee the investigation, went to Blakey and complained that Lopez and Hardway were too aggressive, that they were pushing too hard. Blakey said at the time, he believed the CIA. Now he wished he had backed up Lopez and Hardway. The crowd did applaud him, however, for being the first public official to go on record saying there was a probable conspiracy in the assassination. He based that on the acoustical evidence. In regards to the acoustical evidence, two presenters spoke back to back on Saturday about the Dictabelt tape – a tape a motorcycle cop made inadvertently during the shooting of Kennedy in Dealey Plaza. (15) A report on a speech made by G. Robert Blakey at Mount St. Mary's College, Los Angeles on 20th November, 2006. After being stuck in Los Angeles traffic (what a shock), I caught the last 40 (ish) minutes of an hour talk by Mr. Blakey. From what I could tell, the 400 seat auditorium looked almost half full and the audience appeared to be comprised of students and faculty from Mt. Saint Mary's College - both undergrads and law school students. I understand that Mr. Blakey's daughter heads up the PR department at the college. While I am merely an amateur observer, I was surprised to discover that the audience was not very well acquainted with the case. Mr. Blakey seemed to reiterate his ongoing belief that Oswald was guilty as charged, but there had been a potential shot from the GK that missed (although the acoustic evidence was not conclusive), and a probable, but limited, conspiracy involving the Mob. He emphasized that he had never seen conclusive evidence of a conspiracy involving any US government agency, the Soviet Union, Fidel Castro, exiled Cubans, US Military, etc. , and a conspiracy could only have involved the Mafia. All very benign. He said nothing about Joannides. Nothing about his recent involvement in J. Morley's case against the CIA to release the Joannides files. Nothing about his supposed resulting distrust of CIA cooperation during his reign at the HSCA. Nothing about the Blahut incident. Nothing about any of the controversy surrounding the HSCA staff (although he did accuse Robert Groden of stealing the autopsy photos at one point). Nothing about why the Justice Dept. ignored his recommendations. At least not while I was in the audience. Only four, unmemorable (literally) questions were asked during the Q & A session. Immediately following, I attended a reception for Mr. Blakey on the campus at the Doheny Mansion - which is beautiful. I waited until the crowd began to disperse before approaching him to ask a few questions. But a few hangers on who probably had the same idea, allowed me only enough time for three questions (in non-researcher form, I'm sure). 1. I asked if someone had indeed taken a shot from the GK, and missed (as he had suggested), where did he think the bullet went? He responded with a bit of a smile and he said, "It's probably still on it's way to Houston." 2. I asked how he felt about the recent court ruling against Mr. Morley, on behalf of the CIA re: turning over the Joannides files. He shook his head and looked disappointed before responding, "The judge was a Republican." 3. I asked about his infamous HSCA Nondisclosure Agreement (which has always interested me) - he didn't hesitate to respond that the agreement was absolutely not enforceable in perpetuity. He firmly stated that it had applied only to the life of the committee, and ended after it had disbanded. He added that he couldn't understand how such a simple issue had been twisted around by researchers, the press, etc. through the years. That was it. No time to follow up, as his daughter whisked him away. All very benign. Perhaps the single most intriguing story to emerge from the JFK files concerns a career CIA officer named George Joannides. He died in 1990 at age 67, taking his JFK secrets to the grave in suburban Washington. His role in the events leading up to Kennedy's death and its confused investigatory aftermath goes utterly unmentioned in the vast literature of JFK's assassination. Vincent Bugliosi's otherwise impressive 1,600 page book debunking every JFK conspiracy theory known to man mentions him only in an inaccurate footnote. In 1998, the Agency declassified a handful of annual personnel evaluations that revealed Joannides was involved in the JFK assassination story, both before and after the event. In November 1963, Joannides was serving as the chief of psychological warfare operations in the CIA's Miami station. The purpose of psychological warfare, as authorized by U.S. policymakers, was to confuse and confound the government of Fidel Castro, so to hasten its replacement by a government more congenial to Washington. The first revelation was that Joannides had agents in a leading Cuban student exile group, an operation code-named AMSPELL in CIA files. These agents had a series of close encounters with Oswald three months before JFK was killed. The second revelation was that the CIA's Miami assets helped shape the public's understanding of Kennedy's assassination by identifying the suspected assassin as a Castro supporter right from the start. The third revelation, the one that is most shocking, is that when Congress reopened the JFK probe in 1978, Joannides served as the CIA's liaison to the investigators. His job was to provide files and information to the House Select Committee on Assassinations. But far from being a helpful source and conduit, Joannides stonewalled. He did not disclose his role in the events of 1963, even when asked direct questions about the AMSPELL operation he handled. When the story of the Joannides file emerged, former HSCA chief counsel G. Robert Blakey was stunned by the audacity of Joannides's deception. Blakey, a former federal prosecutor, thought the Agency had cooperated with Congress's effort to look into JFK's murder. Twenty-three years later he learned that the CIA bureaucrat ostensibly assisting his staff was actually a material witness in the investigation. "The Agency set me up," reported the Washington Post. Blakey, now a law professor at Notre Dame, says Joannides's actions were "little short of outrageous. You could make a prima facie case that it amounted to obstruction of Congress, which is a felony." Blakey has long argued that organized crime figures orchestrated Kennedy's assassination. The revelation of Joannides's unknown role has given him second thoughts about the CIA's credibility. "You can't really infer from the Joannides story that they [the CIA] did it," he says. "Maybe he was hiding something that is not complicitous in a plot but merely embarrassing. It certainly undermines everything that they have said about JFK's assassination." Five decades after President John F. Kennedy was fatally shot and long after official inquiries ended, thousands of pages of investigative documents remain withheld from public view. The contents of these files are partially known _ and intriguing _ and conspiracy buffs are not the only ones seeking to open them for a closer look. Some serious researchers believe the off-limits files could shed valuable new light on nagging mysteries of the assassination _ including what U.S. intelligence agencies knew about accused assassin Lee Harvey Oswald before Nov. 22, 1963.